Join a fast growing and energetic team at Evergreen Habitat for Humanity. Under the direction of the Executive Director, the Director of Development is responsible for building and implementing an effective, grassroots, development strategy. Evergreen Habitat for Humanity brings people together to build homes, community and hope. Since 1991, Evergreen Habitat for Humanity has worked to improve living conditions for low-income, Clark County residents. The successful candidate will possess a solid fundraising background, an understanding of the changing landscape of philanthropy, a willingness to be bold, and a flexible and adaptive approach. 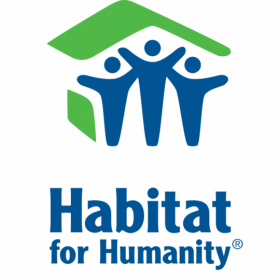 Actively work in partnership with Habitat for Humanity leadership to develop and implement a highly effective grassroots development strategy that includes a diverse range of revenue sources including major gifts, legacy gifts, events, foundation and government grants, and corporate and faith institution giving. Work independently and be self-motivated in initiating contacts with donors and develop stewardship program aimed at cultivating deep relationships. Responsible for achieving minimum fundraising targets annually. Foster donor stewardship through quarterly and annual reports, and special events. Engage the Board of Directors and staff with the fundraising and donor stewardship activities of the organization to ensure goals are met. Track donor activity and cultivation plans in donor database and provide accurate and timely reports. Provide fundraising trainings to staff, volunteers and board members. Coordinate donor follow up from all gifts including recognition of business partners. Write compelling notes or letters of thanks, solicitations, and donor reports as required. Coordinate direct mail & phone campaigns with communications staff and outside consultants, including drafting effective mail appeals and thank you letters for targeted lists, and coordinating with print vendor. Work with communications staff to coordinate and implement online giving program. Plan and implement signature events including, but not limited to, annual fundraising breakfast and golf tournament. Solicit underwriting, sponsorships and in kind donations as needed for events. Coordinate and facilitate event planning meetings and follow up on committee assignments and responsibilities. Coordinate with support staff, donors, vendors, and providers for each event. Coordinate promotion of events and programs using social media and traditional means. Develop and administer the Development department budget. Act as staff liaison to the Board of Director’s Development Committee. Administrative responsibilities including, but not limited to: maintain communication with vendors, volunteers, donors and community leaders regarding day-to-day business via phone, email and written correspondence. When appropriate, incorporate the use of volunteers in daily job functions. A minimum of 3 years of experience in fund development, with demonstrated results in securing major gifts from individual and institutional donors. A successful track record of personally identifying, cultivating, and soliciting individual donors, corporations, and foundations for support. Knowledge of major gifts, annual funds, corporate and foundation giving, direct mail, planned giving, and special events. Ability to construct, articulate, and implement annual strategic development plan. Commitment to Habitat for Humanity’s mission and programs with knowledge of affordable housing and poverty issues. Understanding of Vancouver / Clark County philanthropic community. Familiarity with donor software, ideally eTapestry and Salesforce. Strong working knowledge Social Media programs – Facebook, Instagram, Twitter, etc. Excellent interpersonal skills, including ability to work with people of diverse backgrounds and cultures. Excellent communication skills, including the ability to write and speak clearly and effectively, and to listen, and an unusual capacity to engage, inspire and persuade. Excellent organizational skills, detail-oriented and able to balance priorities. Flexible work schedule – will need to work some evenings and weekends depending on event schedules and meetings. $50,000 annually with opportunities for growth. Includes full benefits package: medical, dental; vacation and sick leave; holidays; and retirement plan.